Q. Do you think you are unstoppable in the form you performed tonight? RAFAEL NADAL: No. At the end no one is unstoppable. Tonight I think I played a great match. Very happy the way that I played against a very tough opponent like Gaël. So that makes the level that I played tonight better because was against tough opponent. Good player like Gaël always very difficult to play against.That's it. Just one very good day. That makes me feel confident, but I am in fourth round. That's all. Q. What are you most happy with in your game right now? RAFAEL NADAL: Well, today I think I have to say that I played well from everywhere, no? I think I played very well with my forehand. Very good control of the ball. Good winners. Movements were great tonight.Backhand very good I think. Very good, close backhands. That give me the opportunity to open the court. Then with my forehand, when I able to hit that cross backhand.And then again today for the first day in the tournament, the forehand down the line worked great. That's a shot that give me a lot when this shot is working. So that's the most important part of my game. It worked well.If we can add to that, I didn't lose serve during the whole match. That's another good thing. Q. Obviously the game today is really physical. Do you find it more difficult to get over the mental aspects or the physical yourself? 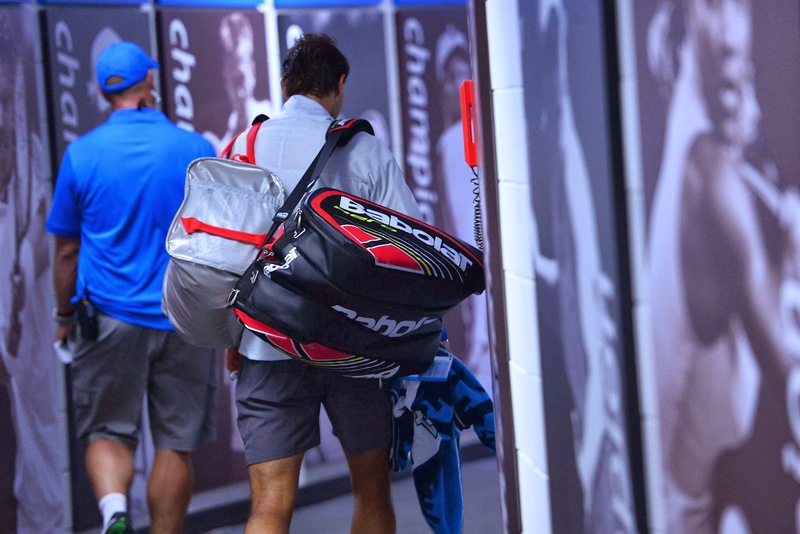 RAFAEL NADAL: The tougher thing is the injuries, in my opinion, no? Mental part is very important. I think what makes the mental part very hard is we play lot of months. Lot of players are ready to compete well for all months, no, for every month. That makes the competition very difficult.That's let you play at your 100% from January to November if you want to have the chance to be in the top positions of the ranking.But most important thing is the health. Then mental part is something that you can control. Is in your hands be well mentally, be fresh, be with motivation. But the injuries is something that you cannot control, so that's tougher thing. Q. Could you talk about your next matchup. RAFAEL NADAL: Yeah, Kei is a great player. He's able to play very aggressive, make very easy the very difficult things. He's very quick on the movements. Will be a very tough opponent for me. I think he had a very good victory today. He's playing great. Will be a tough one.I need to keep playing the way that I played tonight. Q. You have played against Kei on all different surfaces. On which surface do you think Kei would be the toughest to play against? RAFAEL NADAL: I think Kei is a really complete player that can play on every surface. But I think hard is the surface for him. I think when he's playing on hard he feels comfortable. Is it favorite surface, I feel.But you can ask him (smiling).